Worried about the cost of a new air conditioner or heat pump? Financing is a great way to get the efficient air conditioner or furnace you want. When it comes to heating and cooling equipment, it always pays to invest in efficiency. With financing, an efficient HVAC system may not feel as out of reach. 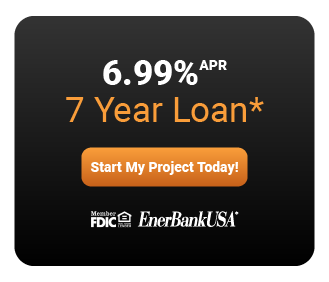 In order to provide an easy, simple consumer financing solution, we’ve partnered with EnerBank USA® to handle all of our Customer’s financing needs. 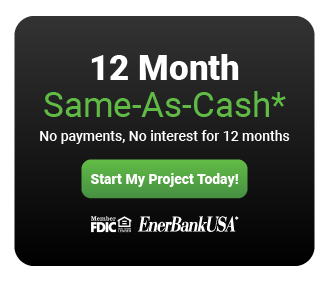 FDIC insured EnerBank USA® is a highly specialized, national consumer lender that helps strategic business partners and independent home improvement contractors increase sales. Strategic business partners include manufacturers, distributors, franchisors, member or trade associations, and major retailers of home improvement, remodeling, and energy-saving products and services. They all rely on the bank to be here today and tomorrow to fund customer loans and help them achieve their business goals and objectives. We are America’s home improvement lender of choice. We are reliable, professional, and we produce results. EnerBank offers you peace of mind. Their loans are available only through authorized contractors who have been approved to offer payment options to their customers. The phone application process is quick and easy with a decision in minutes. Let EnerBank help make your dreams come true. Funds to pay for home improvement projects may come from your savings, tax rebates, bonuses, or some other source. But that trend is changing. Savvy homeowners are realizing that unsecured loans (like those from EnerBank) are easier to get, are faster to process, and reduce exposure to financial risk.